The three main political parties have launched their 2015 manifestos with varying commitments to increase the NHS research spend on dementia. 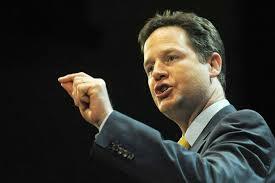 The Liberal Democrats’ manifesto pledges to double spending on research towards tackling dementia by 2020. The manifesto also includes a pledge to work towards a ‘global deal’ to secure extra funds for research into a cure or preventative treatment for the condition. This commitment has been praised by Dr Matthew Norton, head of policy at Alzheimer’s Research UK. “We welcome this commitment for increased funding for dementia research, and urge politicians from all parties to make a similar promise to tackle the condition in the next parliament,” he said. “In recent years we have seen moves to increase funding for research, but with such a low starting point, funding for dementia still pales in comparison to its impact on society. The Conservative Party’s manifesto also includes a commitment to take the lead in finding a cure for dementia with a pledge to deliver the Prime Minister’s Challenge on Dementia 2020 [hyperlink to past story], which includes an aim to invest more than £300 million in research over the next five years. Dr Norton believes this commitment is part of an ongoing "recognition of the need to intensify the fight against dementia", with initiatives like the Challenge on Dementia 2020 boosting care and research, but added that "funding for research is still low compared to the condition’s economic impact". However, Dr Norton was disparaging of the Labour manifesto, which outlined various investments in the NHS and care services but contained no details on how the party would tackle dementia or included any commitments for research. "A pledge to prioritise the nation’s health is welcome, but it’s disappointing that this manifesto does not mention plans to tackle dementia, a condition which touches millions of lives in the UK," Dr Norton added. "Alzheimer’s Research UK urges all party leaders to make a promise on dementia that includes funding for research. With dementia as our greatest health challenge, action on the condition is a clear duty that comes with the keys to Number 10. Alzheimer’s disease and other dementias have an enormous impact, shattering the lives of individuals and families and placing a crippling burden on our economy at a cost of £24 billion a year. Unless action is taken now the cost of dementia will reach £29 billion by the 2020 general election, yet research has the power to transform people’s lives. If we are to meet the G7’s commitment to find a disease-modifying treatment by 2025, it will take determined action from all quarters, and our next Prime Minister must be at the forefront."